As far as cinematic composers go, few come close to John Williams in terms of the emotion he’s able to deliver. From his subtle, creeping background simmers through to his soaring operatic crescendos, Mr Williams has a knack for creating sounds and melodies that strike a powerful chord. His work on the original Star Wars trilogy, E.T. The Extra Terrestrial, Jaws, Indiana Jones and Superman ranks among the most memorable and moving music to ever grace the silver screen. At 83 years of age, John Williams hasn’t lost any of his magic, as this video from 60 Minutes indicates. Only the first couple of minutes of the video relate to Mr Williams directly, but what follows is also a fascinating insight into lessons JJ Abrams took from co-writer Lawrence Kasdan. It’s no doubt through the input of classic talents such as Williams, Kasdan and the original cast that Star Wars – The Force Awakens felt so special. Many of the most iconic pieces of pop culture from the 1980s sprang from the vivid imagination of George Lucas. Those who grew up in that era were no doubt heavily influenced by the original Star Wars trilogy, by Indiana Jones and perhaps even George’s smaller fantasy works, such as Willow. If the following video is any indication, however, it seems that George is still reeling from the hammering he received from fans upon the release of the prequel trilogy. Those films, while visually spectacular, suffered from a lack of charm, heart and evocative performances, so it’s understandable that fans of the original series felt that the saga had lost some of its magic. At the same time, it’s unfortunate if the lack of love shown towards Jar-Jar Binks is what has deflated George’s passion for the Star Wars Universe. Take a look and let us know your thoughts below. SOME SPOILERS AHEAD. Please read only if you have already seen The Force Awakens. Kylo Ren was billed as the new “big bad” to lead the forces of darkness against the Jedi and Resistance, and he didn’t disappoint. 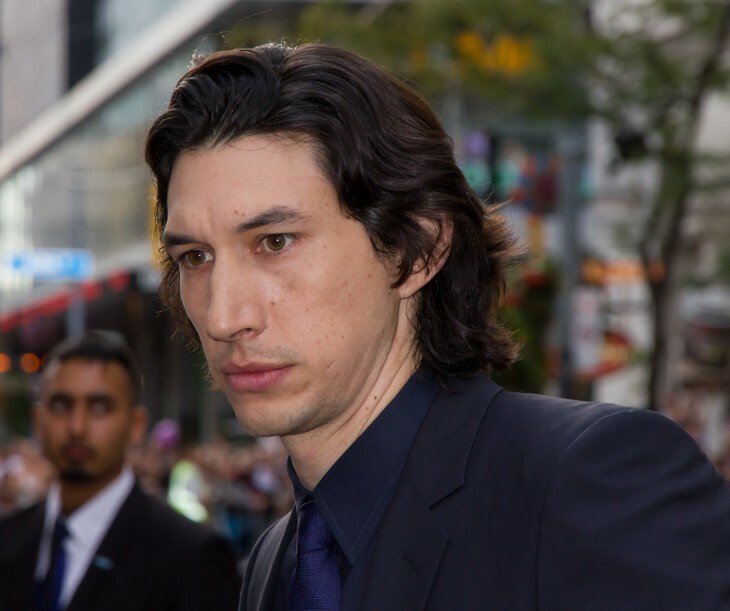 The character, portrayed with complexity by Adam Driver, was the embodiment of inner conflict. It’s unclear as to where his motivations truly lie, with some fan theories suggesting he could be driven by a desire to end the dark side by taking out Snoke, while others point to his role in destroying five planets and a certain hero as a pretty clear indication that he is moving towards pure darkness. Whatever the case, his family history and lack of control over his base emotions point to an angst-ridden soul. This, plus the dark, broody physical appearance of the unmasked Kylo, have led many to draw connections between Master Ren and moody, hormonal adolescents. The finest embodiment of this notion is a new Twitter account – suitably named “Emo Kylo Ren” (username KyloR3n) that serves as a pseudo journal for the character during his teen years; revealing the inner drama he faces dealing with his parents, school mates and challenging relationship with Nazi-inspired Hux. It’s a parody piece, of course, with its author identified as witty Washington Post contributor Alexandra Petri. Below is a sampling of some of Kylo’s most emo – and borderline hipster – journal entries. What do you think? Will Ben ever emerge from this emotional rut? 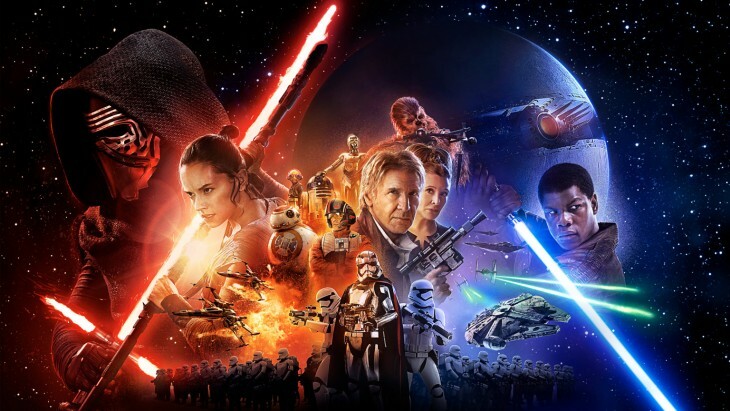 The latest installment of the Star Wars saga – The Force Awakens – has been well received by critics and fans alike. Achieving that balance could not have been as easy task for Lawrence Kasdan, JJ Abrams, the old and new performance crews and new owners of the franchise, Disney. In reclaiming much of the magic of the original trilogy, The Force Awakens has managed to excite three generations of moviegoers. This multi-generational appeal and the huge word of mouth attraction generated by a series that has become a major pop cultural artifact has the movie on track to become perhaps the biggest box office success in cinema history. While box office receipts still put classics such as Gone With the Wind on top when adjusted for population and changes in currency valuation, on a dollar-for-dollar basis, James Cameron’s Avatar and Titanic currently rule the roost in the first and second positions. There are still only 24 films that have ever exceeded $1 billion in worldwide box office receipts, with Star Wars Episode I – The Phantom Menace previously the best performer of the Star Wars franchise, in position #21. The Phantom Menace took in $1.027 billion in total. Amazingly, The Force Awakens has already blitzed past all other Star Wars films and is close to cracking the top ten, with $1.086 billion racked up so far. What’s most impressive about this is that it accomplished this figure within just 12 days of debut, and without having launched in China (the world’s most populous nation) as yet. No other movie has ever exceeded $1 billion in 12 days – through Jurassic World made it there in just 13. Given that Jurassic World nestled into position #3 on the all-time box office rankings after its strong run, there is a very good chance that school holidays, the China release, and continued positive press will propel The Force Awakens above that position. It would need to bring in $1.7 billion to do so, but an epic $2.8 billion would be required to topple Avatar from the top spot – which that film achieved largely because it was such a bold pioneer into the 3D cinema experience space. No doubt Disney executives and investors are feeling a sense of deep relief that their $4 billion investment into acquiring Lucasfilm was money well spent. Fans are also no doubt feeling the love, given that this film has shaken off the shackles of the mixed reception that the prequel trilogy attracted. We wish the film all the best in securing its position towards the top of the all-time box office list in the weeks to come. Luring the classic stars of the “original trilogy” back for a triumphant return in The Force Awakens was always going to be a challenge. While the Star Wars films had largely defined the careers of Mark Hamill and Carrie Fisher, Harrison Ford’s extensive experience as a leading man in the thirty years since Return of the Jedi and his reluctance to continue his smuggler role likely made his return a more tenuous proposition. 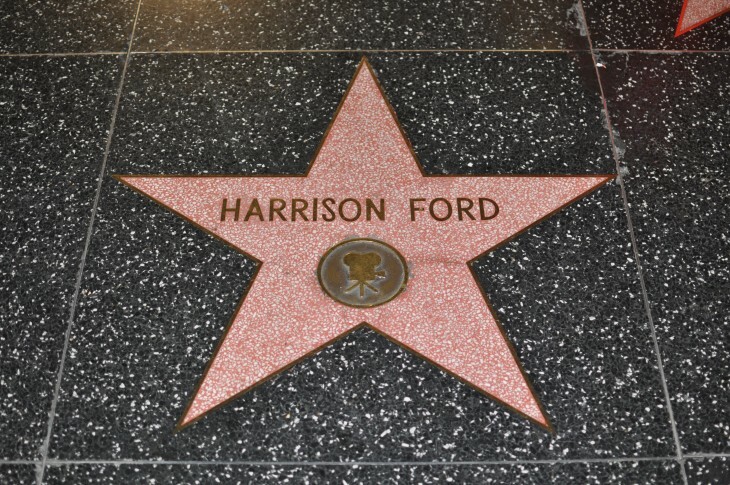 Episode VII would never have achieved quite the level of fan satisfaction that it has if Chewie and Han Solo were written out, so Harrison’s involvement is something that needed to be secured at any cost – and that appears to be exactly what transpired. While his performance in A New Hope reportedly netted Mr Ford something in the vicinity of $10,000, his fee for The Force Awakens is said to be in excess of $34,000,000, an could rise as high as $50,000,000 depending on the film’s box office performance; since he is taking home a 0.5% slice of the film’s profits on top of his appearance fee. Given that the film is on track to bringing in a cool $1 billion in the 12 days since its release, this hefty investment was arguably both wise and necessary. The significance of Han Solo’s defining role in The Force Awakens cannot be understated, and his presence has helped to bridge the generational gap between the Lucasfilm era and the universe’s revitalization under Disney. The roles occupied by Mark Hamill and Carrie Fisher were less significant in this episode. They each netted between $1-$3 million, while the leading newcomers Daisy Ridley and John Boyega are said to have taken home only about half a million each. With their stars well and truly on the rise thanks to the success of this film, no doubt they will command a larger slice of the pie as the tale continues in the years to come.